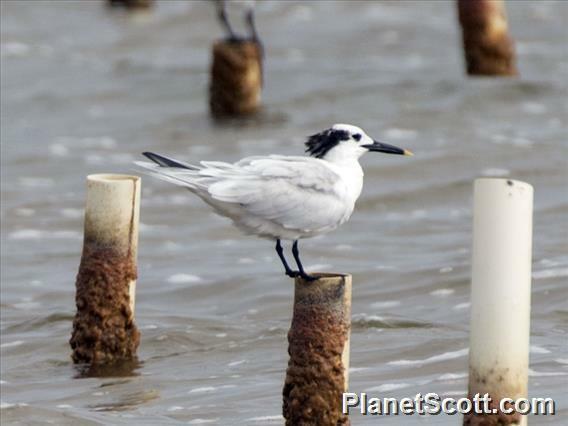 Sandwich terns are easy to recognize by their funny black crest. They are built for life along the coast. With their long slender wings, they can hover perfectly above the waves as they hunt for fish. Sandwich terns are very social birds. They like to nest together in large groups. They even like having other tern species and gulls around. The more birds, the better the protection from predators. Common terns and black-headed gulls are much more aggressive than the gentle sandwich tern. In the winter, most sandwich terns migrate to Africa or southern Europe.